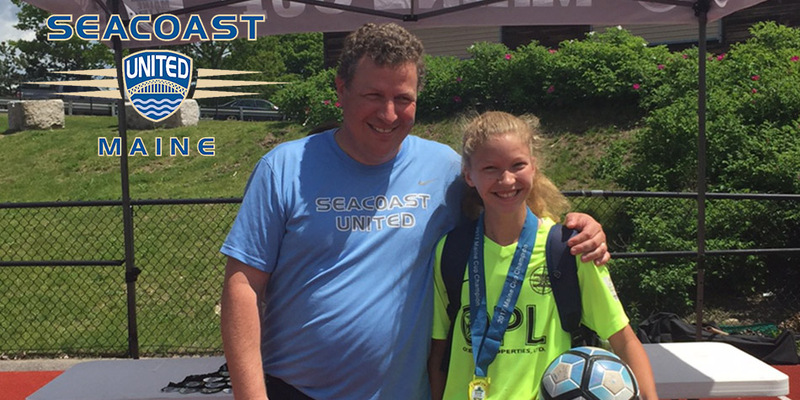 In this week’s “Get to Know” article, we will be learning more about Seacoast United Maine South staff member, Chris Koons. Chris will be working with club goalkeepers as well as the 04B, 03G and 00/01G for the 2018/19 season. I live in Standish with my wife, three kids and dog. For my day job, I work for Atlantic Fund Services, a mutual fund service provider in Portland. I grew up in upstate NY with the exception of 2 years living in Germany. After college, I moved to Colorado to try the ski bum lifestyle. When that didn’t work out as planned, I moved to Pennsylvania to start a career where I met my wife. After we got married, we moved to Maine in 1997. Our intention was to try something new for a few years, but we found it was a good fit for us. So, 21 years and 3 kids later, we’re still enjoying Maine life. What is your previous experience playing soccer? Coaching? I began playing soccer at the age of five for my local recreation league. I played club and High School soccer in Vestal, NY and went on to play to play for St. Bonaventure University. I started coaching town soccer and little league baseball when my kids were just getting started in sports. What made you decide to want to start coaching? 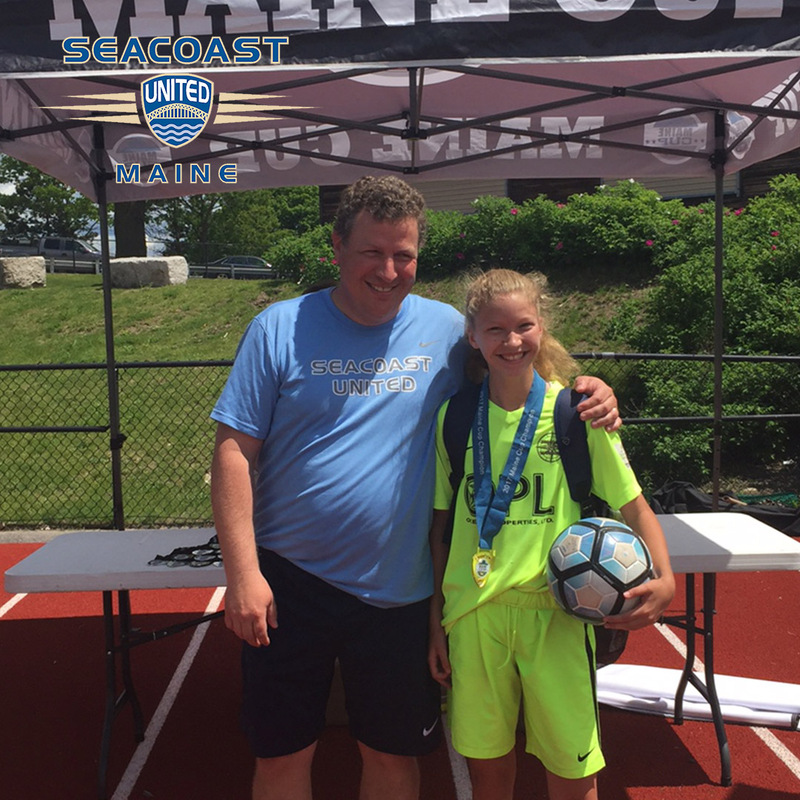 I originally started coaching when my kids were involved in pee-wee soccer as a way to spend time with them and teach them the game that I grew up playing. I discovered quickly that I enjoyed coaching and working with kids who also loved the game. My ulterior motive was to mold my 3 kids into goalkeepers. My plan worked for my son but my 2 daughters prefer to play a little farther up the field. But, I feel very lucky that they all inherited the passion for the game. What attracted you to Seacoast United Maine? My two daughters were both playing for the club and I would use the time and whatever space we could find during their training sessions to work with my son in net. One day while working with my son in the Armory, Steve Twombly asked if I would be willing to do some work with his young goalkeepers. By the end of that season, I became his assistant and began working with additional teams to help train other goalkeepers within the club. I will be forever grateful to Steve for bringing me into the club and giving me the opportunity to work and learn along side some great coaches and players. Who has been the most influential person in your career? As a player, my club team coach, Dr. Jose Sambursky, was the most influential. He taught me as a goalkeeper that game management was just as important as shot stopping. Most notably, he taught me about the etiquette of the game. He wanted his team to understand how to play the game right with class and good sportsmanship. He had a calm demeanor and deep knowledge of the game. When things got stressful, he would step away and could be found by the corner flag with a cigarette (different time). And now as a coach, I have a better understanding of why he needed to step away at times. As a coach, Steve Twombly has been the most influential on my development. Working with him over the years, I have learned how to set up better training sessions and how to get the most out of players. His passion for the game is infectious for his coaches as well as his players. What’s been your best memory while being involved in coaching soccer? The best coaching memories I have involve just spending time with my kids and their friends and enjoying the competition. It is difficult to pick just one memory but the most rewarding moments for me as a coach happen when a goalkeeper successfully applies a new technique in a match that we have been working on. Which current or former professional athlete did you admire the most growing up and why? Toni Schumacher was my favorite goalkeeper growing up. Watching Schumacher play was one of the key drivers in my decision to switch from a forward to a goalkeeper at the age of 9. He played the position with an aggression that I admired. As a young goalkeeper, I tried to emulate his fearless style of play. Do you have any hobbies you like to do in your spare time? I enjoy skiing, wakeboarding, golfing, mountain biking and anything else with my family.